If you would like the latest news and singing inspiration please sign up for the Singing Strong Newsletter on the right of the page. Wishing everyone a very Happy Christmas and a fabulous 2018. There are arrows at the bottom of the newsletter. If you click on these you can read the rest of the newsletter. Learn tips and techniques used by professionals to improve the quality of their performance. Presented by Mary Mirtschin from Singing Strong with guest presenter Kerryn Lockhart. 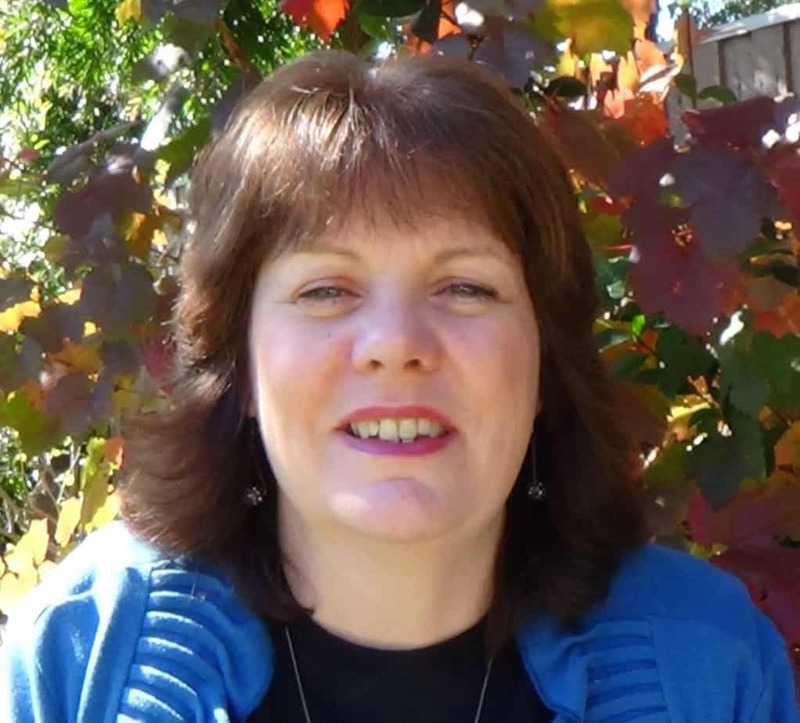 In this practical masterclass, Kerryn Lockhart will deliver a wealth of knowledge to singers. Increase your confidence, learn presentation skills, how to deal with nervousness, song choice and preparation and much more. including the international touring production of “Cats”. She currently teaches singing in Gippsland. The day will be broken into two sessions. The first session will be a presentation about singing and performance by Kerryn with lots of practical hands on activities with time for a Q & A. After a short break there will be a masterclass with opportunities for participants to perform and receive feedback. This is an excellent opportunity for both the participant and the audience. 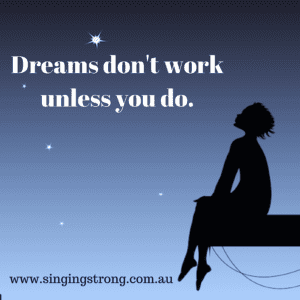 If you would like to be perfrom in the master class please email mary@singingstrong.com.au to express your interest. Please note there is a $20 fee to sing at the masterclass. (this is in addition to the workshop fee). There are only 5 places available for the masterclass. Welcome back everyone to 2017! It is so good to be back teaching and working with all the wonderful Singing Strong students. I absolutely love helping people achieve the voice of their dreams. A warm welcome to new students: Claudia, Samantha, Karla, Emmie and Kate. If you know of anyone who would like to take up singing lessons at this stage I only have one afternoon session available: Wednesday 4.30pm. If you would like to take advantage of this lesson time please get in touch with me asap. I do have some day time sessions available on Thursday and Friday, so if that suits, please get in touch with me so that we can arrange a time. This way you know what my role is and the expectation of students and parents. What’s on at Singing Strong? 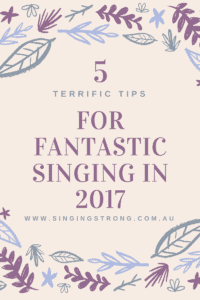 To keep up to date with what is going on you can check out my blog posts at www.singingstrong.com.au/blog. friends, I like to put up all sorts of information about singing that I think might be of value. I love to sing, I love to teach singing and I also love the use of technology in music. However I am discovering that while I am able to do some okay recording, I am no expert in this field. So, I have arranged a recording session time for Singing Strong students with Brett Tippet at Spectrum Productions on Sunday afternoon 12th March, so that students have a chance to make a professional recording that will be made into a cd. This session is only open to 12 students. A time will be arranged for you to come to the studio between 1pm and 5pm. You get a chance to see how it all works, record and mix your song. To book a place click on the button below. Cost is $20. If I find that more students want to take part than we can fit on the day, I will arrange another day to do some more recording. Cafe Concert on Thursday 30th March at Dal Mondo’s Traralgon. Our first performance for 2017 will be at Dal Mondo Cafe, Post Office Place, Traralgon from 6.30pm. This is a great opportunity to get in some performance practice, or if you haven’t sung in public before, this is a safe, friendly supportive environment to get up and have a go. If you have already done this performance before I would ask that you still come along to sing. As I mentioned it is great performance practice and it is also good for everyone to see the progress students are making over time. I had a wonderful time during January working with students in an intensive workshop over 5 days. It was incredible the progress students made and I will certainly be doing more of this in the future. I will keep you posted on future dates. In this post I discuss breathing for singing. Make sure when you breathe the body is relaxed to allow the breath in. Then you can have a focused stream of breath when singing out. Check out the video from James Morrison as well. James is talking about playing a trumpet but the concept is similar. Fricatives are consonants that are formed by impeding the flow of air somewhere in the vocal apparatus so that a friction-sound is produced. They are great for warming up the voice and help to develop a legato (smooth and connected sound) in your singing. The ones used in this exercise are v, z, and th. Audio of exercise below. I like to use the tag ‘Dream’ when I end emails and messages. I have so many dreams about my business and singing and things I want to achieve in life. My problem at times is that the dream will stay that unless I DO SOMETHING ABOUT IT. Dreams don’t work unless we do. The problem with that is we as humans are often fearful of the struggle we will have to face. We want things to be easy. We are fearful of failure and the thought is if I fail- then I must be a failure. But to learn, grow and succeed we have to fail, that is how we learn, grow and succeed. Below is video of a presentation by Brene Brown. She is an expert on the study of vulnerability. Brene talks about hope as a function of struggle, through hard work to achievement. Challenging and difficult experiences when combined with nuturing teaching and encouragement produce hope. Learning music is a struggle. 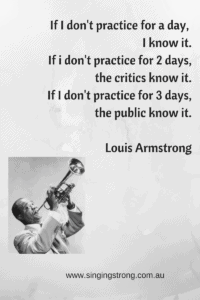 The struggle of learning, the struggle of practice. 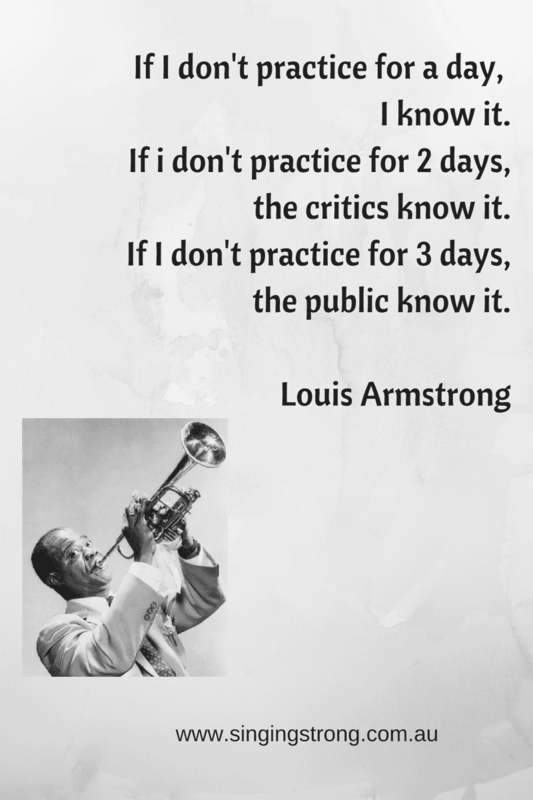 The struggle of consistent practice. I am here to help students through the struggle. Just remember, dreams don’t work unless we do. Hi there! Only a couple more days to 2017. Eeeek! I cannot believe how fast this last month has flown and we are almost at the beginning of a new year. I hope you have all had an absolutely fabulous 2016 and are excited about 2017. I have been doing a lot of thinking recently and am trying to get planned for next year. I am notorious for just floating along and when I have a great idea I just do it. However this can be a very dangerous way to live as there is always a great rush to get it done, I’m not planned and I often don’t do things as well as I would like. Being prepared and organized helps things to flow better and a lot more can be achieved. Start thinking ahead now. What would you like to achieve vocally in 2017? Analyze what it is (make sure you are specific) that you would like to improve/achieve next year. Write it down, plan it out. Do you need to work on your breathing? Would you like to extend your vocal range? By how much? When? What will you need to do to fulfill your dream? 2. Organize a practice time you can stick to every day. Part of the reason we don’t have the success we would like is that we fail to practice. There is no getting around this, if you want to succeed you have to put in the work. Work out a time that you able to set aside each day to work on your skills. Then stick to it. For some more tips and ideas on better singing practice, click on the link below. This is important thing to do. There are many articles and videos on line about how to sing better, but none of these offer something very important. That is feedback. It is vital to have a mentor that can work with you to analyze and then work with you to improve your singing voice. I know when working with students that I am constantly asking questions and guiding them to hear what a good voice should sound like, tweaking and adjusting constantly. If you don’t have any feedback, how do you know if what you are doing is correct? To have lessons one on one with Mary at Singing Strong click here to register. Make sure you are always listening to good music. Think about the artists you like and listen to them. LOTS! There are plenty of ways to listen to music. You tube, Pandora and spotify are just a couple of examples of places you can listen to your favourite music. 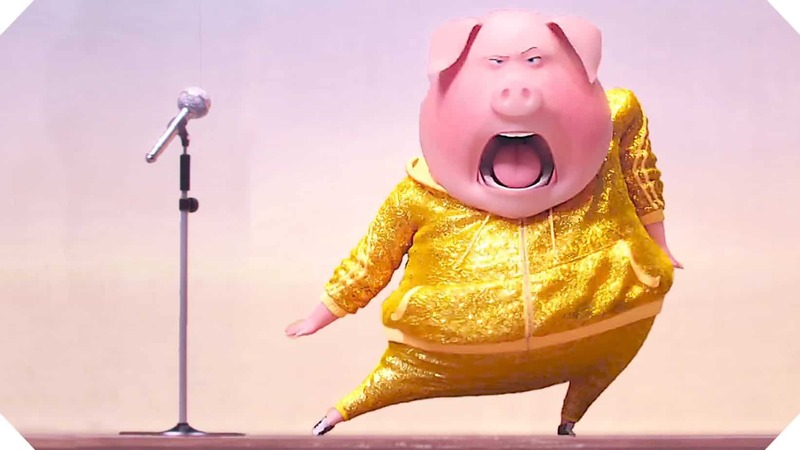 Take some time to analyze what your artists are doing that makes them a good singer. This is my favourite song at the moment and a song I definitely want to learn. Decide the songs you would like to learn in 2017. Think carefully about the style of music and level of difficulty. Aim to find at least 5 songs you could work on. Plan out the year as to which month each song will be learned by. Remember it takes time for the body to get used to how you sing a song. I always say allow 6 months for a song to feel right. 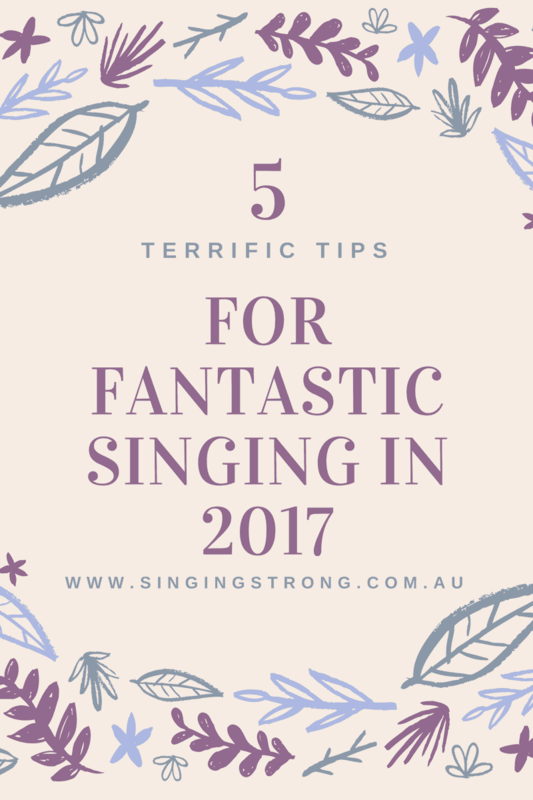 Do these 5 things and you are well on your way to singing success in 2017. 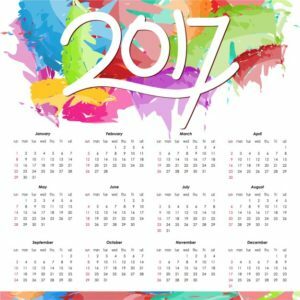 Want to get 2017 off to a great start? Singing Strong is offering a Summer Singing Intensive from Monday 9th January to Friday 13th January 2017. Five days one on one with Mary for an hour each day. You can do this with Mary in her Traralgon Studio or on line. There are only a few places left. Work on vocal technique, performance skills as well as learn a song in 5 days!